The instant giveaway here is the color. 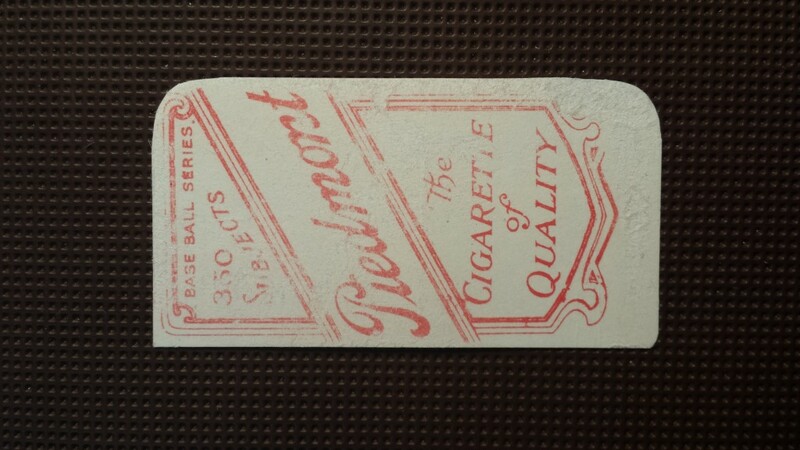 No, there are not Piedmont backs found with red ink. 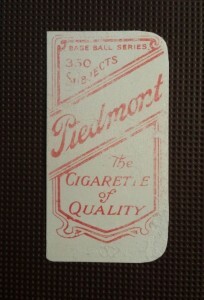 All Piedmont backs were printed in a blue ink. There have been a few different reprint sets of T206 that feature back with wrong colors in an attempt to differentiate real from fake for the novice collector. Notice here, this card has damage to the surface along the bottom of the card. This is where “REPRINT” was removed. Remember the black line border I talked about in the T206 Wagner post? 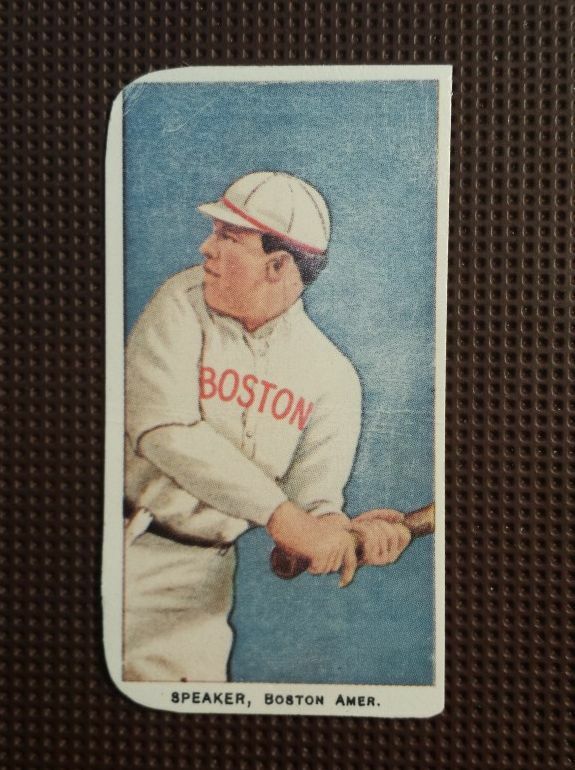 That black line border found on real T206 cards is not here on this fake. 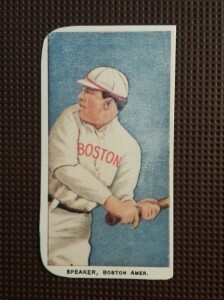 From a distance, the colors do not look too bad but up close, the printing is obviously not 1909 period lithography. Also notice the name and team city at bottom. On this fake, they are printed in black. Real cards have the name and city printed in brown ink.